Local equities rebounded on Thursday on resumed bargain hunting activities, putting an end to the four-day losing streak at the stock market. 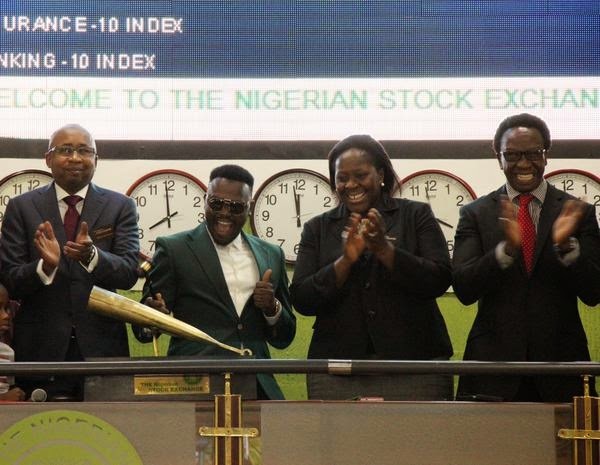 Business Post reports that the overall performance measures, the All-Share Index (ASI) and market capitalisation, accelerated by 0.16 percent to leave investors smiling for the first time this week. While the ASI added 52.46 points to close at 32,354.78 points, the market capitalisation increased by N18.1 billion to settle at N11.2 trillion. Today’s positive performance was attributed to gains by Seplat, 7up, Dangote Cement, and 17 other stocks. Seplat improved by N4.95k to close at N465 per share, while 7up appreciated by N3.79k to finish at N82 per share. Furthermore, Dangote Cement increased by N1.93k to end at N203.94k per share, Oando progressed by 35k to close at N7.39k per share, and Zenith Bank chalked up 20k to finish at N20.40k per share. Despite the fresh air at trading floor of the Nigerian Stock Exchange (NSE) today, the market breadth closed negative with 23 losers. Nigerian Breweries shed N3.35k to close at N155 per share, while Okomu Oil declined by N1.85k to finish at N56.15k per share. Flour Mills fell by N1.14k to end at N22 per share, Guinness depreciated by N1 to settle at N62 per share, and UACN tumbled by 86k to wrap the day at N16.50k per share. GTBank stocks attracted investors on Thursday, exchanging 36 million shares worth N1.2 billion at the close of trading activities on the NSE. It was closely followed by Transcorp, which traded 21.3 million units valued at N28.1 million, while First Bank sold 16.1 million shares at N97.5 million. Sterling Bank exchanged 12.1 million shares for N12.4 million, while Livestock Feeds transacted 8.4 million at N8.5 million. In all, investors exchanged a total of 168.5 million shares valued at N3.6 billion traded in 3,536 deals in contrast to 311.4 million shares transacted yesterday in 4,312 deals at N3 billion.